"If you go in with fear, fear is what you'll find"
I have a confession to make. In my haste to share my enthusiasm of books that I've read, I sometimes reveal more about the plot than I intend to. While I always refrain from spoiling any huge plot twits, sometimes the less you know about the book going into it, the more enjoyable it will be. That is definitely the case with Dark Matter by Blake Crouch. When I received an advanced copy of the novel from the publisher, I knew nothing about the story. Crouch is well known from his successful Wayward Pines series, but his latest story seemed to be shrouded in mystery. That mystery benefits the novel in every way. As the story unfolded, I was completely invested and thrilled to the core. Jason Dessen has a pretty ordinary life. He's a professor at a local college who eschewed a promising career in science when he learned that his now wife, Daniella, was pregnant. He wouldn't trade that decision for anything. Even as he leaves a bar where his friend from college is being celebrated for the kind of scientific breakthroughs that Jason was poised to achieve himself, he can't wait to get back home for a quiet dinner with his wife and son. But someone has darker plans for Jason's evening. As he walks down the quiet streets, Jason is abducted by a man in a mask. Instead of the intimate family time he planned, Jason is thrust into a series of events that threatens the safety of his family and forces him to question every detail of the life he thought he was living. That's about all I can say without denying you the privilege of experiencing this novel for yourself. Every time I thought I had the ending mapped out, Crouch would add another ripple to the story that would send it in a completely different direction. As with most good books, it is the characters that truly make the story worth engaging with. Even as the plot delved into deep sci-fi elements that required some suspension of disbelief, it was Jason's deep commitment to the safety of his family that kept me invested. 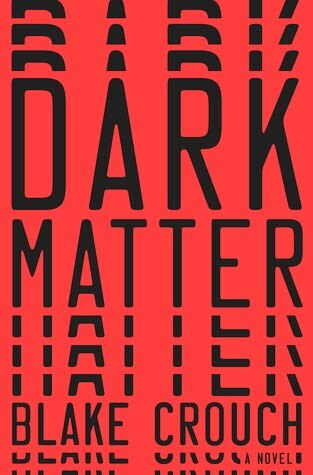 In Dark Matter Blake Crouch provides thoughtful characters, suspenseful plot, and deep thematic undertones that combine for a relentlessly satisfying novel that is one of the best books I've read this summer. This entry was posted on Monday, August 1, 2016 and is filed under Blake Crouch,Book Review,Crown Publisher,Dark Matter,Family,Mystery,Sci-fi,Thriller,Wayward Pines. You can follow any responses to this entry through the RSS 2.0. You can leave a response. I loved this book Ethan, and agree the not knowing enhances the experience. I try to avoid anything not mentioned in synopsis. Have you heard a film version is in development? !